On Wednesday, it was reported that the UN has determined that Mount Dov, otherwise known as the Shaba Farms, belongs to Lebanon and that Israel must relinquish the area to UN control ahead of its transfer to Lebanon. Although the UN later denied the report, true or false it reminded us that since last summer's war, pressure on Israel to withdraw from Mount Dov has risen dramatically. It should be recalled that in 2000, the UN certified that Israel had fully withdrawn from Lebanese territory. The UN acknowledged that sovereignty over Mount Dov is disputed between Israel and Syria. Hizbullah rejected the UN's finding and insisted that Mount Dov is Lebanese territory. As Lebanese politicians such as Druse leader Walid Jumblatt have argued, Hizbullah invented the claim as a means of justifying its continued war against Israel. During last summer's war, Hizbullah's demand for Mount Dov was supported by the Saniora government of which Hizbullah was then a member. Since both the US and France support the Saniora government, they accepted the demand. UN Security Council Resolution 1701, which determined the conditions of the cease-fire, authorized the UN's secretary-general to determine which country the area – which controls the back entrance to Mount Hermon, the sources of the Sea of Galilee and the Israeli communities on the Golan Heights – belongs to. The UN's claim that it has yet to settle the issue of sovereignty over Mount Dov has given the Olmert government a temporary reprieve from international pressure to withdraw from the strategically vital area. But the fact that last year Israel agreed to empower the UN to study the issue is itself a disaster for Israel. By allowing the UN to revisit a sovereignty issue it had already settled, Israel gave up its right to assume that the international community will one day recognize its borders. If Israel were to withdraw to the 1949 armistice lines, for instance, the Mount Dov precedent shows that there is no guarantee that a Palestinian, Syrian, Egyptian or Jordanian demand for more Israeli land wouldn't enjoy similar international backing. Over the past year, Israel has conducted no critical analysis of the political and military consequences of Resolution 1701. No one has discussed the significance of an agreement that places Israel on equal footing with an illegal terrorist organization and makes no mention of Hizbullah's state sponsors, Syria and Iran. No one has asked how the IDF will deal with UNIFIL forces, which at the Olmert government's insistence are deployed along the border, when the next round of fighting begins. ISRAEL'S FAILURE to analyze 1701 is but one illustration of how it has avoided truly reckoning with what happened last summer. Israel's failure is especially disconcerting given that today we are poised on the edge of another war against the same forces – Hizbullah, Iran, Syria and the Palestinians – that fought us last summer. A year ago, assisted and directed militarily by Iran and Syria, and backed politically by international human rights groups, the UN, France and the Western media, Hizbullah successfully carried out a 34-day attack against Israel. Israel failed to either stop or mitigate the Hizbullah onslaught. Since then, assisted by Iran and Syria, Hizbullah has rearmed and expanded its missile arsenal. It has filled its ranks with operatives who have undergone training in Iran. Hamas has taken over Gaza and built its own army of some 10,000 soldiers, many of whom have also been trained in Iran. Syria and Iran have both mobilized for war and Iran has made great progress in its nuclear weapons program. In Lebanon itself, Hizbullah, Iran and Syria are actively destabilizing the Saniora government. Whether or not their ultimate goal is to repeat the Hamas model in Gaza by fomenting a Syrian-Hizbullah takeover of the country, their actions to date have neutralized all threats to their freedom of action. The Lebanese military is neutralized. After the car bombing against Spanish UNIFIL forces last month, Spain and another country are holding talks with Hizbullah and Iran. The Bush administration, which supported Israel in the first weeks of the war, is now keeping its distance. From its support for Hizbullah's demand for Mount Dov; its pressure on Israel to support Fatah; to its attempts to appease Iran, the Bush administration is clearly signaling that it views Israel as a liability. In Israel itself, the only point of light is the tactical training that IDF forces have been undergoing since the cease-fire. But although the training is vital, the fact is that the tactical level was the least problematic level of the last war. Although they were ill-equipped and ill-trained, in every head-on engagement with Hizbullah, IDF forces convincingly defeated the enemy. The real problems that the war exposed were on the operational and strategic levels of war. And here, no improvements have been made. Under then-chief of General Staff Dan Halutz, the General Staff conceived of the war as an air battle, with a limited ground component comprised of special forces. Although this operational concept failed in the first days of the war, the General Staff stubbornly maintained it throughout. Due to the General Staff's refusal to revisit its operational concept, it was unable to draw lessons from engagements with the enemy. Rather than examine the surprise inflicted on the special forces in their first engagements with Hizbullah and update IDF operations in accordance with what those engagements revealed about Hizbullah's deployment and mode of operations, the General Staff ignored the experience and allowed itself to be drawn into a war it didn't understand. Forces were deployed willy nilly in battles of no operational significance and with no connection to any overarching plan for victory. A month before the war, Halutz closed down the IDF's Operational Theory Research Institute. The institute was responsible for training corps commanders in operational warfare. That training boils down to giving commanders cognitive tools to test their operational environment and to update their plans to ensure they maintain the initiative. As Halutz's successor, Lt.-Gen. Gabi Ashkenazi, has noted on various occasions, today there is no operational thinking in the IDF. Perhaps this is important. Perhaps it is not. We'll only find out in the next war. Strategically, the situation has deteriorated rapidly. 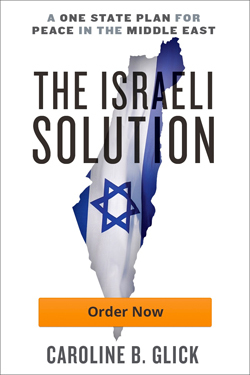 Despite the obvious nature of Israel's failure, the Olmert government insists that we won. And since it claims we won, it also claims that nothing needs fixing. The government's insistent claims of victory have forced it to also say that Israel is now safer for having fought the war. As a result, the government downplays the significance of Hizbullah's rearmament and of Syria's preparations for war. Moreover, by ignoring the fact that with Iranian and Syrian guidance, the Palestinians and Hizbullah launched a coordinated attack against Israel, the Olmert government is forced to ignore the significance of the strategic alliance that exists between its enemies. It is because of its need to underplay the dangers that it continues to embrace Fatah chief Mahmoud Abbas, even though Fatah forces participated in the kidnap of Cpl. Gilad Shalit. The government is forced to embrace Abbas, even though since September 2005, he and his forces did nothing to prevent Hamas from training, arming and raising an army in Gaza. mored vehicles and a Jordanian brigade in Judea and Samaria, and to equip his forces with bullet-proof vests and more guns. THE ARROGANCE and ignorance of Olmert, Foreign Minister Tzipi Livni and their colleagues plays a significant role in the government's refusal to reconcile itself to reality. But their personal failings tell only part of the story. Both Israel's political leaders and its military leaders are party to a general conceptual failure that has plagued Israel since the Rabin-Peres government signed the Oslo Accords with the PLO in 1993. To embrace the PLO, Israel had to abandon its national narrative and adopt the false narrative of peace. Only by so acting was it possible to embrace a terrorist group dedicated to its destruction. Although today Israel has no Palestinian or Syrian partner in peace, and is beset by a global jihad fueled by Iran, Saudi Arabia and Egypt, Israel's policymakers continue to cling to the peace narrative. The peace narrative assumes that Israel rather than the Arabs is responsible for the lack of peace in the region, and so Israel, rather than the Arabs must change its behavior to engender the peace it has blocked. As a result, the peace narrative negates Israel's right to defend itself from aggression, for doing so would distance the chance of peace. Even worse, an Israeli assertion of its right to self-defense would risk exposing the fact that there is no peace to be had and that Israel is not responsible for its absence. On the military level, the attraction of an air war for generals is largely a consequence of the peace narrative. If Israel is on the verge of peace, then soldiers shouldn't be dying, and control of land – which we want to give away for peace anyway – is neither necessary nor desirable. If we still are forced to fight, it is best to do so from an altitude of 20,000 feet. Boots on the ground would involve an acknowledgement that we are at war. On the political level, the peace narrative has paralyzed strategic analysis and policy making for 14 years. If we are in a peace process, then it isn't only that we mustn't defend ourselves. We mustn't assert our sovereignty at all. We mustn't tell the UN that in accordance with Israeli law, Mount Dov is part of the State of Israel. We mustn't tell the US that Judea and Samaria are Israeli territories and that we haven't the slightest intention of giving them to our enemies. We mustn't tell the Palestinians that they have shown they cannot be trusted with international borders and we are therefore taking back the Gaza-Sinai border. We mustn't acknowledge that Fatah is our enemy or that Syria is an Iranian client state. Tuesday, Military Intelligence asserted that the only way to avert war with Syria is to reach a peace deal with Syria. Since Syria is uninterested in peace, what Military Intelligence actually said is that Syria about to launch a war against us. But since we have yet to discard the delusion of peace, it is unclear that anyone understood the message. A year after the war, we still haven't found the courage to recognize that security, not peace, is our goal. Until we do, we will remain plagued by war.